Mar 14 Part I: Another World Congress of Bioethics, To What Avail? by Julia Bolzon• The 13th World Congress of Bioethics, hosted by the International Association of Bioethics (IAB), is happening this June 14–17 in Edinburgh, Scotland. Professor Søren Holm, President of the IAB, has commented on the Congress’ choice location of Edinburgh as the birthplace of the Scottish Enlightenment, indicating that it is “characterized by a fruitful flow of ideas between different subject areas,” which he hopes this year’s Congress will emulate. The IAB was formed in 1992, with members spanning academic disciplines and the globe alike. As an international and cross-disciplinary association, it exists to foster open dialogue on “any and all” bioethical issues, and to develop the field of bioethics into “an inclusive global discourse.” To continue what he calls the “New Enlightenment” emerging from Edinburg, Chairman Professor Graeme Laurie wrote that the Congress’ theme is to explore what bioethics can contribute to “individuals, public interests and public goods.” All delegates are encouraged to treat the Congress in the spirit of “a festival of knowledge” rather than a traditional academic conference, seeking to discover what bioethics can offer to the pressing scientific, technological, global, and health issues of our time. The reason for the Congress’ theme is the recognition that increasing emphasis on “the primacy of the individual” downplays the interconnectedness between the individual and the other on a familial, local, and global level. The reality is that medical, scientific, and biotechnological advances do not just affect the person at hand, but have ramifications that reverberate throughout the public realms of family, community, and the globe. Whether the issue is gene editing, global health pandemics, or reproductive tourism, the fields of bioethics, public health, and law have to increasingly account for realities that reverberate across time and space. What are the effects of proceeding with embryonic gene editing twenty, thirty, or fifty years in the future? What are the consequences of gestational surrogacy that is legal in one country but not in another? Who will these realities affect, and how? In what way can we know (or not know) the ramifications in advance? With a focus on the relationship and differing values at play between individual and public interests/public goods, the thorny issues and conflicts that exist between “person-centric” and “community-centric” ethics should come to the fore. Exactly what these issues are and how they will be discussed remains to be seen. The IAB is currently undergoing a call for abstracts in the areas broadly titled Arts + Ethics; Global Bioethics; Individuals, Public Interests and Public Goods; and Public Health, Ethics and Law. What should be the goals of biotechnology; is progress itself an ethical aim or obligation? How do we honor the sanctity of life (assuming that “sanctity of life” continues to be a morally useful construct)? What is “human flourishing” insofar as biotechnology can contribute to it? How do we navigate the spectrum of differing perspectives on risk, such as those that take a more precautionary, risk-aversive approach to those that privilege provable harm approaches? How do we protect vulnerable populations, honor global cultural differences, and respect and include diverse opinions? Who should ultimately regulate technologies (e.g., government, private sector, self-regulation)? How do we assure fairness, justice, and global sharing of the fruits of modern biotechnology? The trouble with such global gatherings (as noble and necessary as they may be) lies not so much within their aim but within the heart of biotechnology itself, which makes the task of regulation frankly impossible. The floodgates of biotechnology have long since been opened, making regulation today less a matter of outright prohibition and more like a temporary yellow light that will eventually turn green once the going looks clear. This metaphor finds reality in the case of mitochondrial transfer and three-parent IVF in the UK last February, and more recently with the testing of CRISPR on human embryos. While BEINGS may be asking the right questions, and the IAB facilitating necessary global discussion, the challenges of biotechnology run much deeper than we are equipped to handle. In the next segment, I shall begin to outline the way in which biotechnology far surpasses our ability to control or even think about its ramifications. Søren Holm, “Welcome from the IAB President,” International Association of Bioethics 2016 Edinburgh, accessed on February 29, 2016: http://iab2016.com. 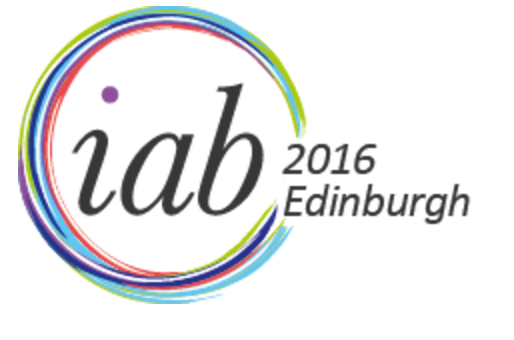 Graeme Laurie, “Welcome from the Chair, IAB2016 Organising Committee,” International Association of Bioethics 2016 Edinburgh, accessed on February 29, 2016: http://iab2016.com. International Association of Bioethics, “The 13th World Congress for the IAB,” accessed on February 29, 2016: http://iab2016.com/about-iab2016/. Paul Root Wolpe, “BEINGS 2015: Biotech and the Ethical Imagination, A Global Summit,” accessed at: http://www.beings2015.org. “BEINGS Update: Where are we now and where are we headed?” Accessed at: http://www.beings2015.org/about.html. Guiding Questions, BEINGS 2015 Program. Accessed at: http://www.beings2015.org/program.html.